Ok, this article will really screw up Bing and Google. Did you know that you can work with Visio all day in the office, and take Visio supplements to keep your tired and bleary eyes from degenerating? Then you can drive home in your Visiodrive car to your Visio house. After taking the baby for a short walk in his Visio stroller, you can plop down on the couch and watch your Vizio monitor–after you’ve pulled the shades over your Visio Glas windows, of course! If the vitamins didn’t work, you might have to watch the TV with your Visio-assisted artificial vision system! And if your day was really hard, you can find spiritual solace at the the alter of Visio Dei, or recharge your mind and body with a few sessions at Visio Form! And you thought it was just diagramming software! Ok, it’s Friday, so I thought I could get away with this bit of fluff. And since I am actually on vacation right now (I pre-wrote this post on July 10th…What? You can do that!? ), I thought I’d at-worst be forgiven. Besides entertaining you all, I thought this might be a fun attempt to get the search-engines to collapse upon themselves. You see, when you search for “Visio” these days, you get pages and pages of results about the software we know and love. In fact, this web-site, Visio Guy, is often near the top of the list. But the word “visio” has its roots in “vision”, so there are, not surprisingly, a few other visios out there that have little or nothing to do with diagramming software. Here’s my top list of Visio things that aren’t really Visio. If you have any more, please share them in the comments section at the end of the post! A once proud, but now defunct company. Wait, this does have something to do with Visio software! The new offering from the French car manufacturer features the new Visiodrive technology! Located in Irvine, California, Vizio “Is America’s fastest-growing HDTV and consumer electronics company.” Judging by all the “Visio monitor” tweets on twitter, I think a lot of people misspell this, using the “s” instead of the “z”. An artificial vision system! I wonder if it uses a spongy material as its main component. Designed by Sorg & Associates, Visio is a striking, all-new building located in the heart of the U Street corridor, one of Washington’s hottest, most exciting neighborhoods. Unfortunately for you die-hards, all of the units have been sold! A project planning and management company, located between Ulm and Stuttgart in southern Germany. This outfit owned the German “Visio” domain back when Visio was not part of Microsoft, and it drove the guys in the Munich office crazy. No, that’s not a misspelling! 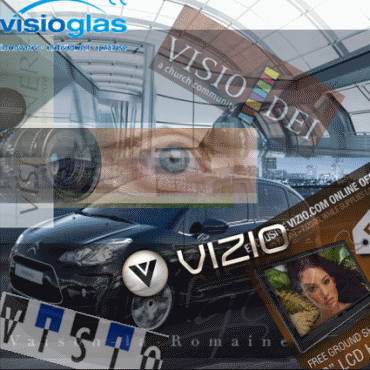 It’s another German “Visio” company. This one appears to build windows–hence the play on “visio”, I guess. I found Visio Glas especially amusing because I wrote How to Draw Glass in Visio back in March, 2008. A French publicity agent that offers the full spectrum of communication, editing, packaging, advertising, marketing and graphics services. I like this one, because it sounds like software! But instead they offer personal coaching in the form of body/mind/spirit growth and transformation for the greater Dresden, Germany area. After reading some of the Visio-gripes on twitter, I think a few Visio users could use some of this treatment! If only they had renamed it Microsoft Diagram! Good Lord, I knew I had to upgrade, and I knew that the difference between Visio Pro and Visio Normal was complicated, but now I am completely confused! 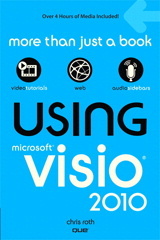 I heard that “Visio” was a spanish language slang for “addicted to alcohol”. I think an old ad campaign for Visio said something about “Visualize your business”, which would really apply to that Visio Nerf artificial vision system! There’s a joke or two in there somewhere, but I haven’t figured it out yet! The Gallery Visio Student Association was organized at the University of Missouri-St. Louis by a group of fine arts, anthropology, photography, and graphic design students who saw the need for an alternative venue to showcase student works and abilities on campus. English alliterative poem, written in about 1367–86 by William Langland. This is a video interview, nostalgic perhaps??? Pavel Hruby, Ph.D. My main areas of interest are software architectures and software design methods, patterns, and new trends in software development. Most people visit this web site to download Visio stencils for UML and SysML. Looks like a stencil for video conferencing and more.